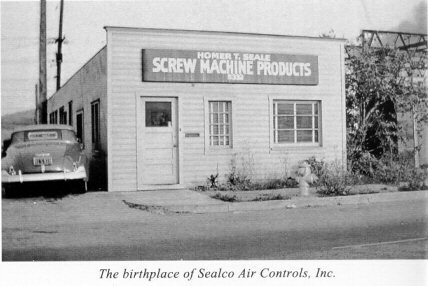 In 1939 our founder Homer T. Seale began a small business in southern California utilizing two automatic screw machines to manufacture and sell small parts to the aircraft industry. With the outbreak of World War II, business flourished and the company grew rapidly to operate on three shifts employing approximately 80 workers. Along with the celebration of peace in 1945 however came an abrupt end to the aircraft industry job shop work. 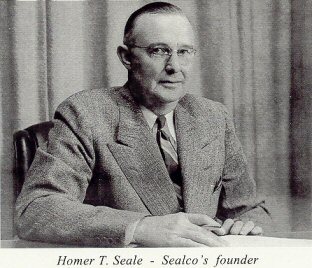 Mr. Seale was forced to begin to search for a new product of his own to manufacture and sell. Over the next couple of years several different products were made and sold under the brand name Sealco including shower heads, lawn sprinklers, hydraulic jacks and ball point pens. While none of these products really ever caught on and were eventually abandoned, Sealco did continue to make parts for a pen company that eventually became the Paper-Mate Pen Company. 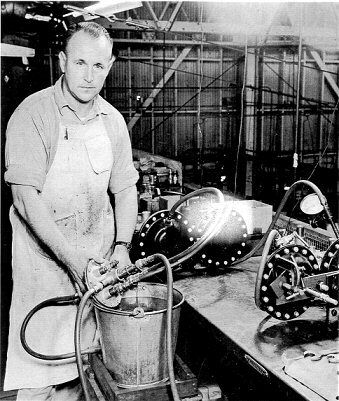 In 1947 production began on a patented air brake valve with six full time employees. That valve was the fore runner of the present day A-1000 Relay Emergency Valve that is still widely used today in many countries around the world. The A-1000 was innovatively engineered being the first air valve to ever use rubber "O" ring seals. In addition, the valve pioneered the concept of a removable cartridge or "plug unit" that was a trade mark of all early Sealco valves. Many of our air valves today still incorporate a plug unit for a "quick fix" that can substantially reduce a trailer fleets ongoing maintenance costs. Over six decades of innovation and growth later, Sealco is recognized today as the leading supplier of air brake valves to the heavy duty commercial trailer industry in North America and many other countries around the world. Our continued success is a direct result of our commitment to our core principles, service, value and the fact that all Sealco products are designed, engineered, manufactured and assembled in the U.S.A.